Charlot Magayi, owner of Mukuru Clean Stoves of Kenya, (seen on the left) and Lucy Odiwa, owner of WomenChoice Industries. Charlot Magayi, owner of Mukuru Clean Stoves of Kenya, was awarded second place in the World Bank’s global SDGs and Her competition. Her business addresses SDG8 (Decent Work), SDG1 (End Poverty), and SDG3 (Good Health). 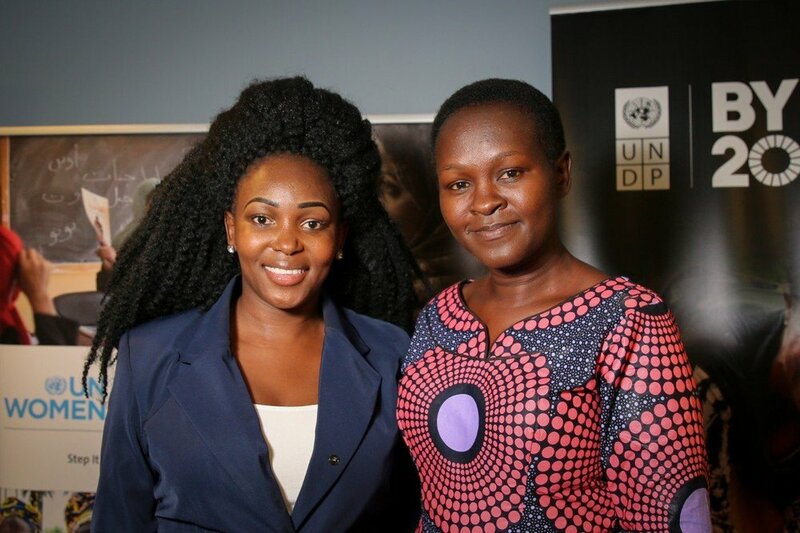 Magayi and Odiwa, the first place winner, were flown to New York City to attend the UN General Assembly to discuss their work and its impacts. There were over 1,200 entries received from 88 countries. Congratulations to Charlot Magayi and Mukuru Clean Stoves of Kenya on this great recognition from the World Bank. Rockflower recognized your potential from the outset and is proud to have been an early investor in your work. Winning this award is a crucial validation to the work that my team and I are doing with the aim of significantly reducing household air pollution in Africa, and it boosts our commitment to making the world a better place by implementing the SDGs. The award naturally comes with the responsibility to network and share with other women business owners about my challenges and breakthroughs in running my enterprise; with the aim of sharpening each other’s business skills. Read the World Bank’s press release here. Read Ideas for Action’s article about events Charlot attended here.